We only had a day to visit and explore Oslob, Cebu. Our first activity was whale shark watching and swimming at Sumilon Island. The first two activities was tiring enough; we can either go to Tumalog Falls or Cuartel afterwards. Since we have had enough of water activities, we all decided to visit Cebu's historical place: Cuartel & Baluarte. From the whale shark briefing area, it only took us 20 minutes to travel to Cuartel. I must say I was pretty tired because I fell as sleep as soon as we started to travel! I woke up only to find out that we arrived already. We only stayed there for a while, though. Around 20 minutes is enough to get a glimpse of Cuartel & Baluarte. I like visiting places like this because of its historical background. Did you know that this cut coral stone-built church was finished after 18 years? Unfortunately, it was burned down in 1945, and 1955 but the people restored it. In addition to that, around 2008, a fire destroyed the interior of this 19th-century church, sparing only the image of Our Lady of Immaculate Conception and the other 73 icons near the door to the bell tower. Up to the present, major reconstructions were made thus the church is back to its original state. 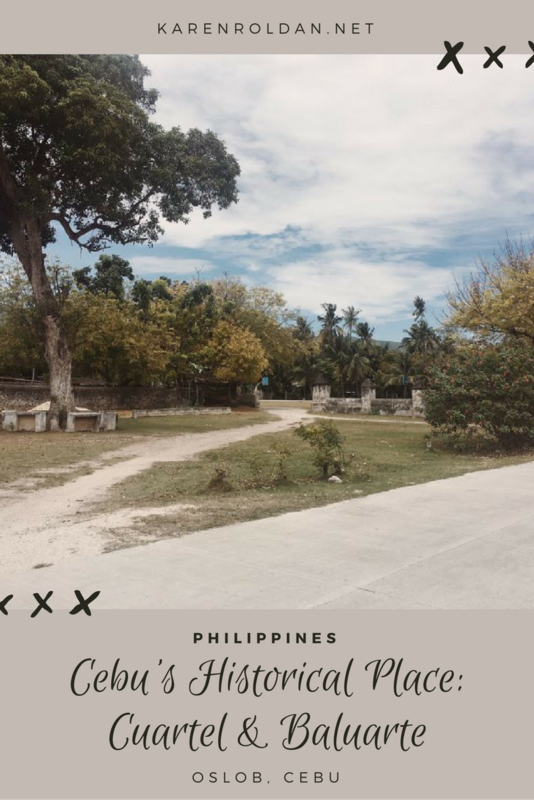 We didn't have the chance to see and visit Museo Oslob, so I can only show you its exterior. Museo Oslob is located next to Cuartel. Though its admission is free of charge, taking photos inside the museum is prohibited. Cuartel is supposed to be a military barracks for Spanish soldiers. It started in 1860, but it remained unfinished at the end of the Spanish regime in 1898 because of the arrival of Americans. 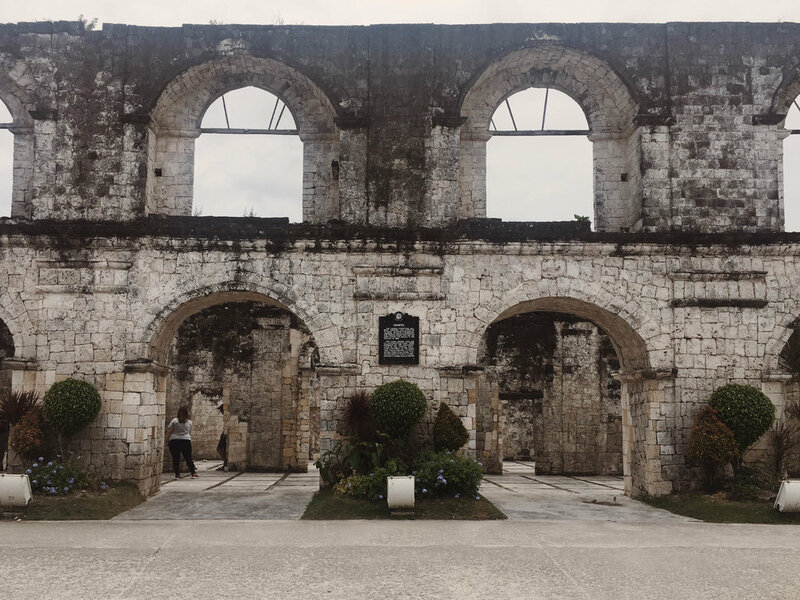 Now, Cuartel stood still and is known as one of the heritage sites in Oslob. "This unique structure was built through the effort of El Gran Maestro Don Marcos Sabandal to serve as barracks for Spanish armies but was halted during the arrival of Americans in 1899. The coral stones used for its construction came from remnants of the collapsed floor of the church bell tower. The walls of the structure which measure 19 centimeters thick still stand. The facade built of coral stones features a double row of arches." Along with the other 6 watchtowers in the coastline of Oslob stood this watchtower. Baluarte means watchtower in Spanish. It was built in 1788 and served as a safe place and defense system to dispel the Moro raiders. I don't regret choosing Cuartel over Tumalog Falls. I was fascinated by its surroundings - from fresh air to the view of the coastline, this place is definitely a place where you can stop and relax for a moment. 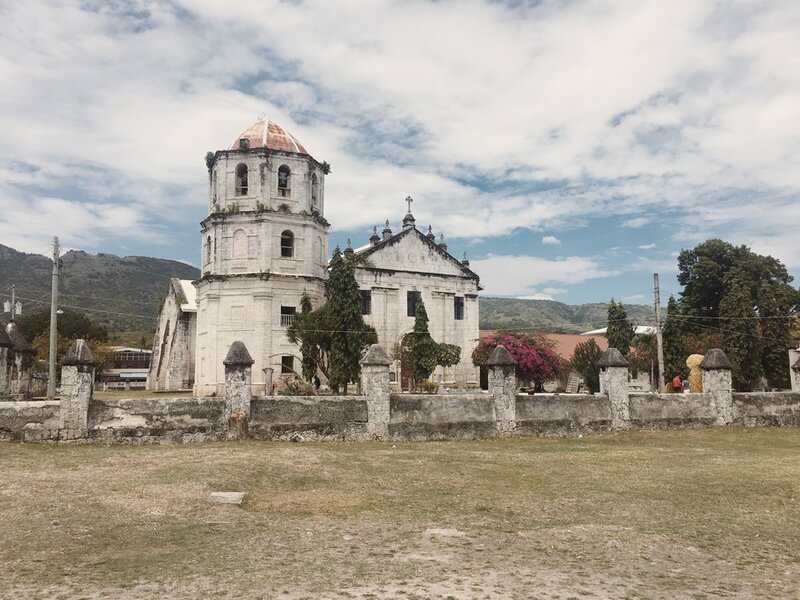 A 20-minute stay is already enough to know a bit about this historical place in Cebu. Right after visiting Cuartel, we are now faced with a new adventure: hiking to Osmeña Peak! Have you been to Cuartel? What other historical places have you been to?